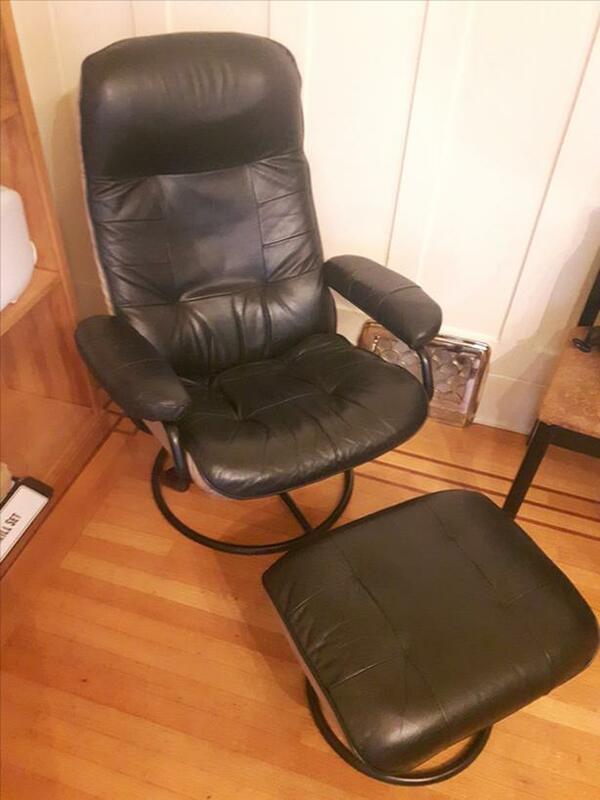 Well taken care of black recliner chair with stool. Quite comfortable, lots of padding left and still in great shape. Used at a health clinic and the clinic wanted an upgrade, so needed to make some space.